Zane Burke, president of Cerner, will be the spring 2017 speaker for the Kansas State University College of Business Administration's Distinguished Lecture Series. The lecture will begin at 1:30 p.m. Monday, Feb. 6, in the K-State Business Building lecture hall. The event is free and open to the public. Burke joined Cerner in 1996, where he has served in a broad range of executive positions across sales, implementation, support and finance. Prior to becoming president in 2012, he led Cerner's Client Development organization with a focus on establishing new relationships across all segments of the health care market. As the president of Cerner, Burke focuses on client relationships worldwide. He makes an impact by leading the corporate direction and strategy for solution operations, including new business efforts, revenue generation and marketing. 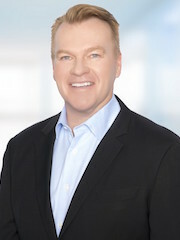 With more than 20 years of experience, he understands the current and emerging challenges that face the health care industry and partners with clients to address these issues and create opportunities. Dedicated to the advancement and development of health care leaders, Burke serves on the board of trustees and the foundation board of directors for the College of Healthcare Information Management Executives. Locally, he serves on the board of directors of the Greater Kansas City Chamber of Commerce, an organization focused on growing Kansas City business and building a vibrant and thriving economy. He also is on the board of directors of Truman Medical Centers, an academic health center providing quality care and building a healthier community in Kansas City. A certified public accountant, Burke is a graduate of Kansas State University, where he earned his bachelor's degree in accounting and his master's degree in business administration. The Kansas State University College of Business Administration Distinguished Lecture Series brings successful business professionals to campus to share their knowledge and experience. Lectures are given every semester and are sponsored by Commerce Bank and the William T. Kemper Foundation.